Pulau Rawa - Malaysia... 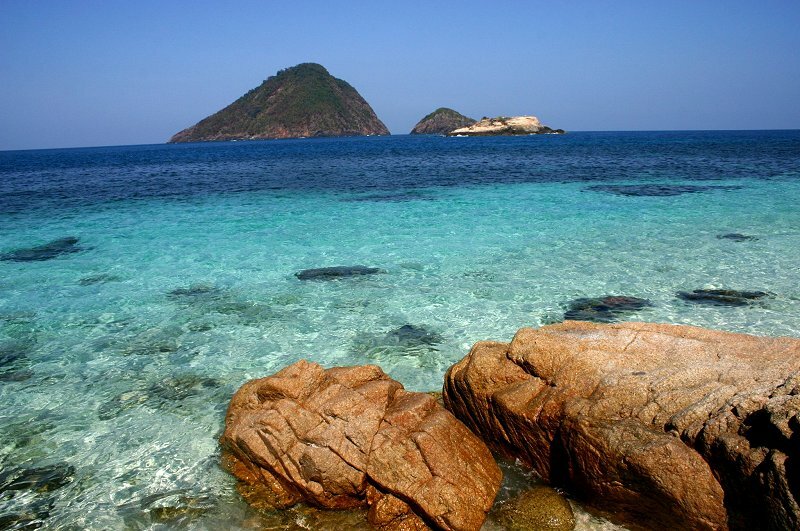 I Luv U..
Sixteen kilometres off the coast of Mersing is Pulau Rawa. The island is famed for its white coral sand, tall palm trees and coral reefs with neon-coloured fish and other exotic marine life. This quiet island only has two choices of accommodation on it. The wooden chalets nestled amongst coconut groves complement the island's reputation as a quaint hideaway, perfect for those wanting to escape the hustle and bustle of the city. From Johor Bahru city centre, take the Johor Bahru–Kota Tinggi trunk road and on through the Kota Tinggi– Mersing trunk road (Highway 3). From the North-South Expressway, take the Ayer Hitam exit (Interchange 244) and drive towards Kluang and onwards using the Kluang– Jemaluang trunk road (Highway 50). After Jemaluang town, get onto the Kota Tinggi-Mersing trunk road, heading towards Mersing. Look out for signboards that will lead you to the Mersing Jetty.